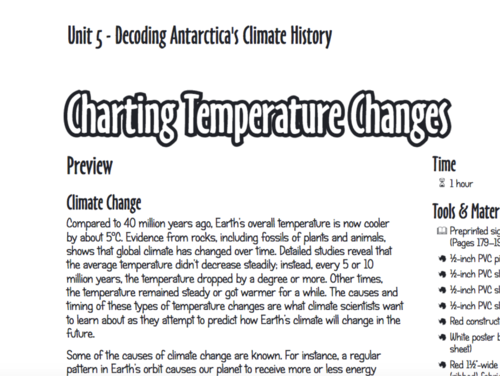 In this activity, students chart temperature changes over time in Antarctica's paleoclimate history by reading rock cores. Students use their data to create an interactive display illustrating how Antarctica's climate timeline can be interpreted from ANDRILL rock cores. 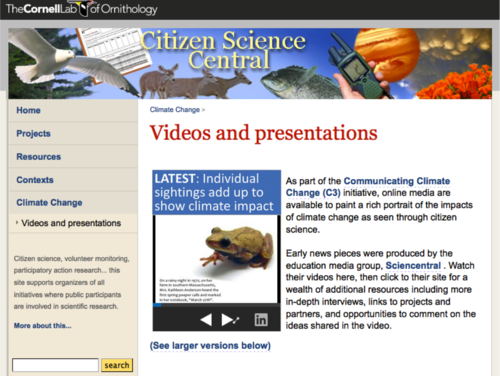 These slide sets (one for the Eastern US and one for the Western US) describe how citizen observations can document the impact of climate change on plants and animals. They introduce the topic of phenology and data collection, the impact of climate change on phenology, and how individuals can become citizen scientists.